This is a lovely post Simcha, and really informative. I never knew the humble onion could do us so much good. I'm going to give this a try because we always have onions in our vegetable trays. Hope your daughter is feeling better soon. Thanks for the wishes Julia, it has been a worry since it has gone on for about 9 weeks now. We are big onion eaters here anyway but its good to realise that what you are eating can do you some good at the same time. 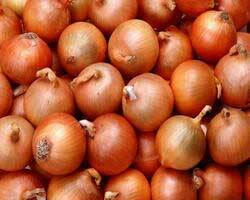 I love onion soup, the onions have such a lovely natural sweetness too. Hope she gets well soon. Dr Oz family lives in Istanbul so Ive heard and he is pretty good too.